Whisky nowadays is fraught with death-defying prices. The problem with this trend, which I visualise as a steam train running out of control, is that eventually it’ll come to an unfortunate end. Whether most enthusiasts can afford to stay on-board this carriage of doom is debateable. I certainly know I’m more selective with my purchases now and less prone to making an impulsive acquisition. Sadly many enthusiasts who actually write about whisky whether its online or in print form are to be found in the 1st class carriage, receiving their posh nosh and table service. 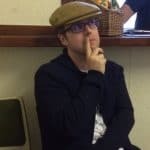 This curse of the blogger as one company representative explained to me over a whisky standing in an Edinburgh kitchen of all places, is the biggest pain they deal with on a regular basis. In essence I have little sympathy as they’ve created their own monster with such special treatment and now the beast expects it each and every time. Heck I was told that some actually refuse samples now in preference of a full bottle, or if they’re not invited to an event they’ll suddenly get in contact demanding to be added to the guest list. The brass balls of this beast are indeed mighty. The point I’m coming to here is that those receiving the silver spoon treatment are very unlikely to criticise the hand that feeds, or as I’ve seen on a regular basis even comment on the price of the whisky being reviewed. Some no longer review poor whiskies, NAS whiskies or when faced with something average provide such an insipid text assortment that its existence is pointless. 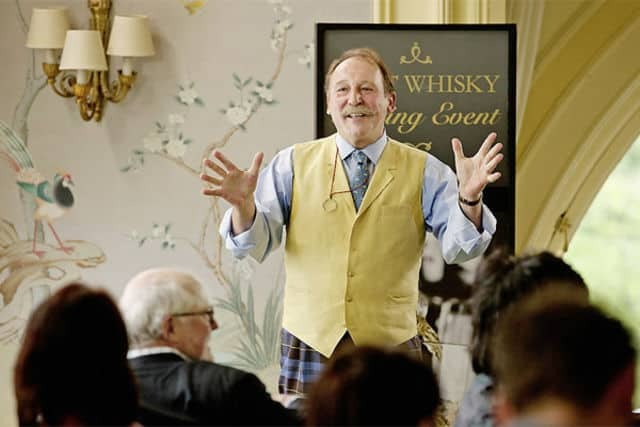 Price and transparency are key components for anyone considering the value of a whisky. By transparency I’m not meaning some marketing spin that Compass Box is trying to weave. No, I’m talking about where a sample came from and any affiliation that person has to the supplier? If you write for a whisky magazine that reviews whiskies yet have your own company that bottles whiskies is there a conflict of interest? It’s open to debate. For this review we can actually talk about both as Cadenheads along with Signatory and some other independent bottlers are still offering value when it comes to whisky. Beggar belief that they’re actually treating their customers with a level of respect. Not trying to fleece them with the latest 5-cask maturation procession from a distillery in a convenient 50cl bottle (as you’ll never finish 70cl) wrapped up in a bespoke box created by an expert carpenter from Honduras. 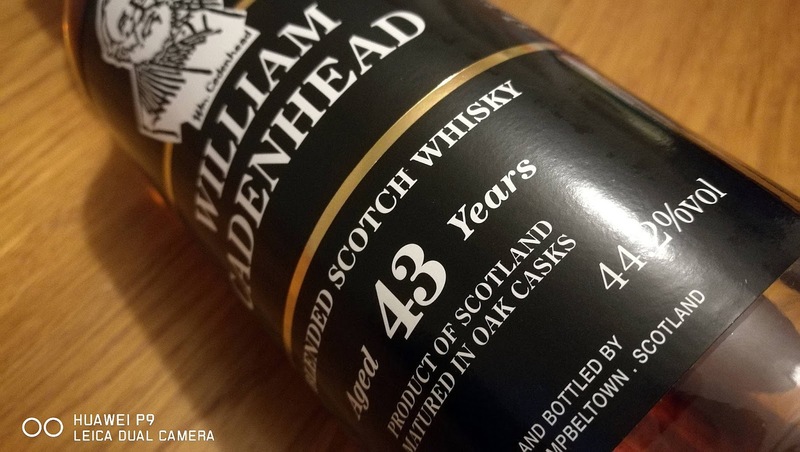 This Cadenhead 43 year old is a blend of 3 distilleries all conveniently mentioned on the label and comes complete in a cardboard box. Here we have 55% Invergordon and the remaining 45% made from Glenfarclas and Glenlivet so its a blended Scotch rather than a malt blend due to the presence of the Invergordon grain. Bottled at a cask strength of 44.2%, resulting in an outturn of 624 bottles that’ll set you back £135. Yes, you read that right in this current crazy money market this release is just 43% of the new Ardbeg 21 year old price tag and I’ll wager it offers a greater experience. Cadenheads are one of those anomalies you’re hugely grateful that exist today. They are a business and manage to balance their overheads and responsibilities whilst also ensuring they offer a quality product at an affordable price. Only Cadenheads would have the stock, nerve and generosity to create and release something like this blend. Alongside this 43 year old blend, the latest outturn featured a 39 year old Glentauchers and a 30 year old Highland Park for under £200 each. It’s no wonder that enthusiasts are abandoning the gravy train to seek out this refuge. In this oasis of whisky, money goes further and you’re able to appreciate the value of maturation and a good cask without outside interference. All this said aside, you’ve come here for a whisky review so I better give you one! On the nose: a really malty arrival then honeycomb, grilled pineapple and a strawberry reduction. Cream soda, vanilla nougat and a lovely ebbing flow of characteristics unfold the longer you leave this in the glass. The sweetness of orange peel and caramel wafer are noticeable as is the richness of beeswax. Going back once again shows a nutty quality, tarragon and a hint of smoked bacon. In the mouth: you’re hit with age and poise. Its extremely confident and assured with that old school whisky feeling. More of that milk chocolate caramel wafer, marzipan and a creamy characteristic. A little vanilla but not too much thankfully, nicely balanced with the returning oranges. A hint of smoke throughout. A dram to be savoured over a prolonged evening as you take in its depths and hidden treasures. Each time I returned to the glass it offered a new dimension and that’s something I rarely experience nowadays. A whisky such as this doesn’t come along very often so enjoy it whilst you can. Earlier this year I discovered Kennetpans distillery and needless to say even now I’m still in awe of the site. My visit was akin to..